When you wake up on a spring morning, you probably enjoy the sound of birds melodiously chirping. Birds play an important role in nature by eating insects and worms, and maintaining a healthy, balanced ecosystem. 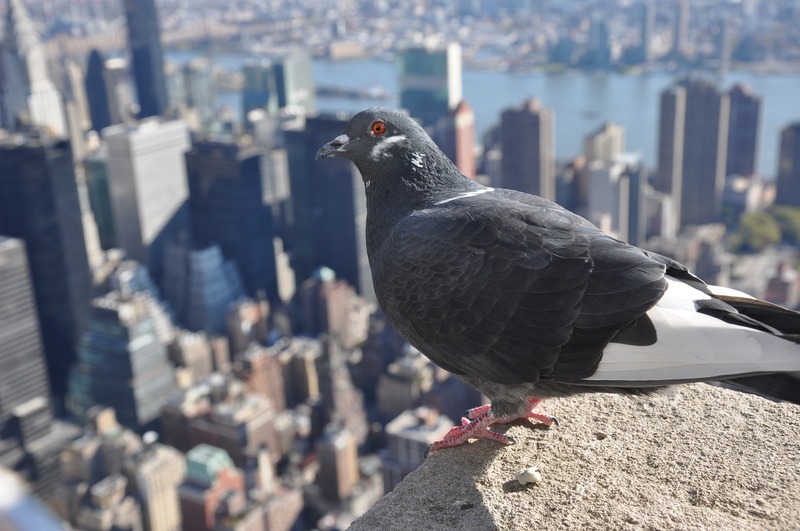 Birds aren’t often considered a pest, but they can cause serious damage to your commercial property when nesting starts to take over the building. There are also significant health risks associated with bird droppings. They have been linked to over 60 transmittable diseases, including Salmonella, E. coli, and Histoplasma. Histoplasma is one of the most serious of the diseases that can be caused by birds and is a type of lung infection caused by inhaling spores, which contain the fungus. There are also 50 types of ectoparasites found on birds, which are parasites that live on the outside of the host, such as bed bugs, fleas, and lice. Consult your doctor or a healthcare professional immediately if you experience any symptoms associated with the mentioned diseases. Nesting in gutters can cause major plumbing and drainage issues for commercial and residential buildings. Bird nests are densely made by using a variety of materials, including twigs, leaves, and grass clippings. They are often constructed at the edge of the gutter where it connects to the downspout because the area is more protected. Gutters work by collecting rainfall from a roof and directing the water flow through the downspout. A nest constructed at the entrance of the downspout will lead to water overflowing, which can ruin landscaping and cause flooding. Birds nesting in gutters can also disturb building occupants as their nails clawing against the metal will result in a lot of noise. To prevent birds from nesting in your gutters, consider installing a “gutter guard”, which will flatten your gutters to prevent debris from building up and more importantly, stop birds from nesting. Some species of birds are known to demonstrate aggressive behaviour, particularly when in close proximity to their young. Seagulls and crows are the most common culprits, with people citing bird attacks in a variety of circumstances. Crow attacks have become so common in one Vancouver neighbourhood, that mail deliveries have been temporarily suspended. Territory invasion: This occurs when birds feel their personal space has been invaded, especially when a bird is with its young. Mating competition: Mating season heightens emotions for birds and puts some on edge. Predators: Birds resort to anger when they feel they are in danger and attack as an attempt to scare the predator off. Aggressive birds pose a threat for potential customers and employees that is easily prevented if control measures are put into place. Raider Wildlife Control uses proven bird control tactics that provide an effective and long-lasting solution for your bird issues. Learn more about our variety of wildlife removal services by calling 1-844-482-7243 and find us in your area.